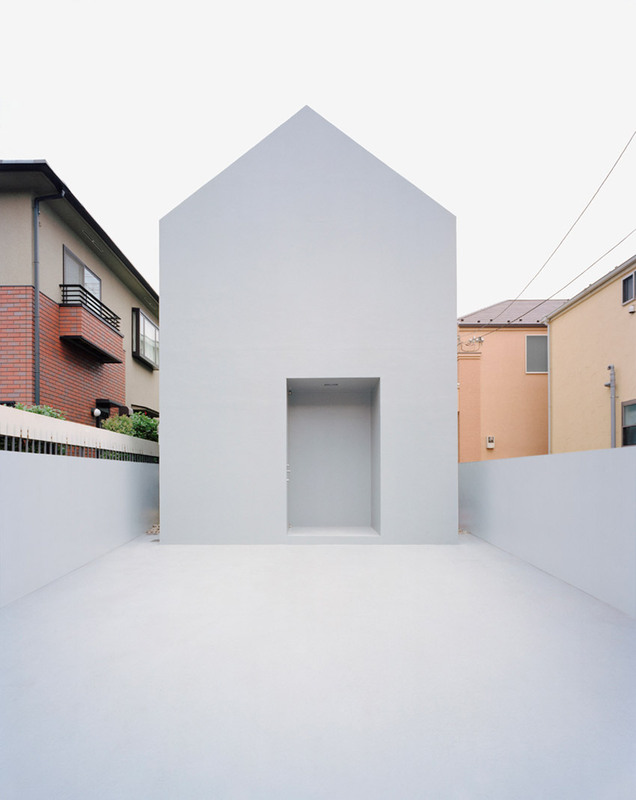 Tokyo based DATAR Architecture designed The Ghost House in Suginami (Tokyo) in 2006. 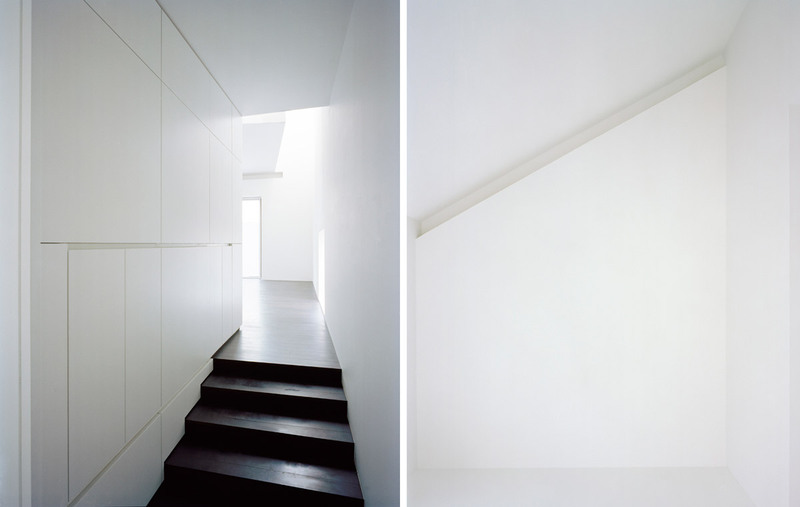 DATAR Architects adopted the archetypal primitive hut-like house. 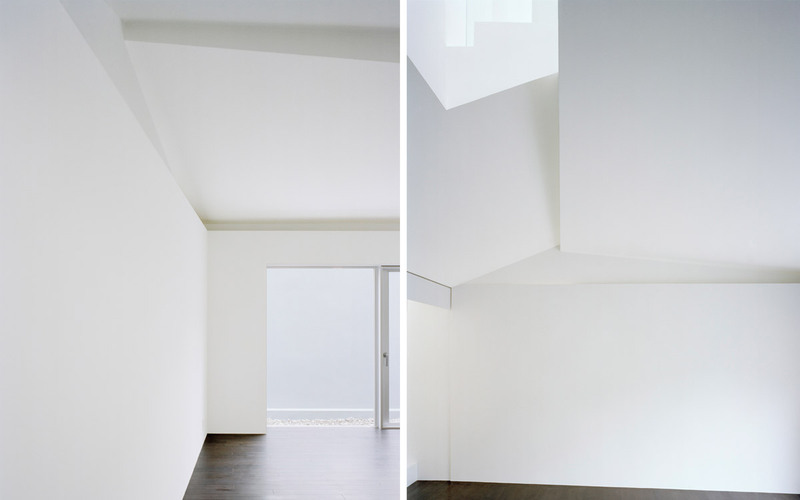 The house is reminiscent of a blank canvas. It’s all white, except the floors. All the other architecture elements ARE White. White in the outside and white in the inside. Unlike the image of a child’s naive drawing, however, they chose to exaggerate the building’s ghostly silhouette, presenting a mute character. 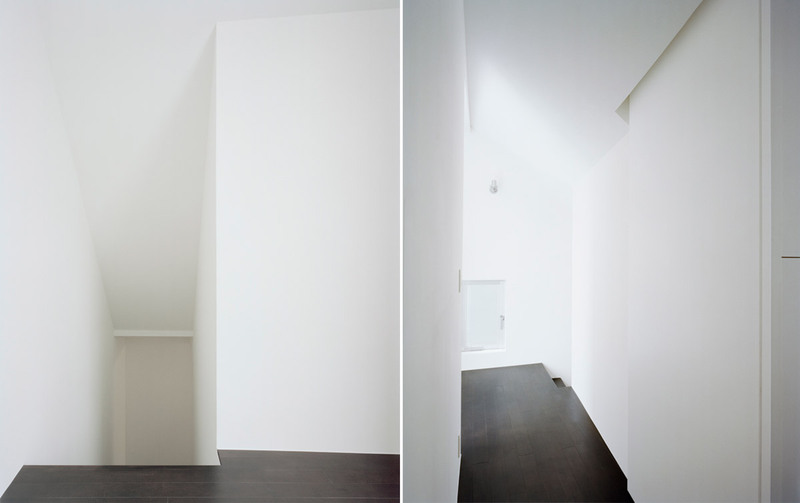 By contrast, internal spaces express an eccentric character in response to client requirements. Scaleless from the outside, accommodation is on three levels, with intricate ramps and steps. 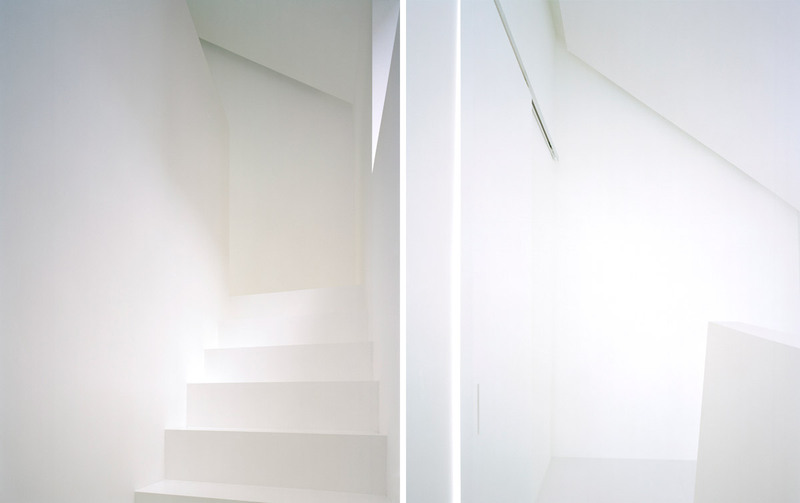 Datar Architecture is a design and constructing office of architecture, interior, furniture, and toys led by Jin Otagiri. 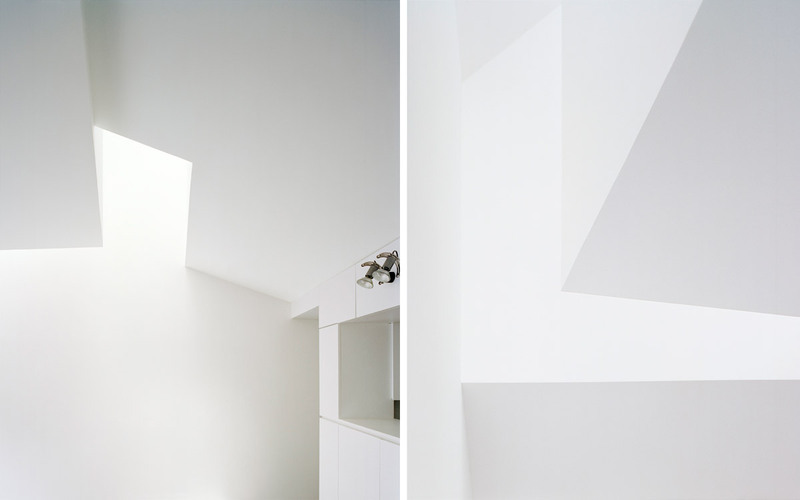 Cite this article: "Ghost House / Datar Architecture," in ArchEyes, March 6, 2016, http://archeyes.com/ghost-house-datar-architecture/.